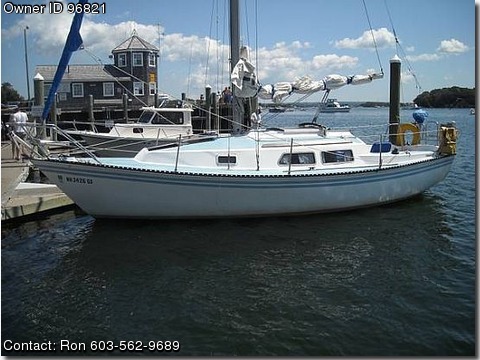 Please contact the owner directly @ 603-562-9689 with any questions...We love this boat but need to sell! 1982 Newport Sloop by Capitol Yachts. "R-Wave" Documented Vessel USCG Repowered with Beta Marine (Kabota) low hours 13 HP Diesel Engine and Transmission Package Navigation, GPS and Depth finder Hull Soda Blasted and Refinished 2012 Marine Radio Wood interior New Stream Stay Furler 2013 Tiller Steered Auxiliary Outboard Motor Bracket Sails: Main, Genoa and Spinnaker Really Good Condition.